Vered took the helm as Executive Director of the Philadelphia-Israel Chamber of Commerce (PICC) in July 2013, with over 20 years of experience in developing and facilitating international trade and relations in North America, Asia and Israel. The PICC facilitates connections between Israeli and Greater Philadelphia, Southern New Jersey and Delaware-based businesses, governmental agencies and economic development organizations. The PICC also represents the US-Israel Bi-National Industrial R&D (BIRD) Foundation, which has made more than $10 million in industrial R&D grants regionally to U.S.-Israeli company technology ventures, most recently $900,000 were awarded to Christiana Care. Under her leadership, the PICC helped organize trade missions to Israel, hosted Israeli trade delegations and industry related summits, facilitated Delaware Valley companies’ entry to the Israeli market and attracted Israeli companies to our region, held networking events, and helped facilitate joined business and R&D collaborations. Prior to joining the Chamber, Vered served the Diamond State Port Corporation / Port of Wilmington, Delaware for nearly 14 years, where she strengthened and expanded the Port’s foreign trade through internationally targeted marketing efforts. Vered’s background also includes working for the State of Israel’s Economic and Cultural Office in Taipei, Taiwan as Tourism Representative. 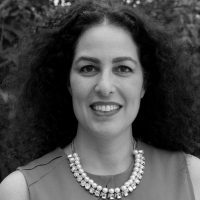 Vered is a graduate of Hebrew University in Jerusalem and a veteran of the Israeli Navy.